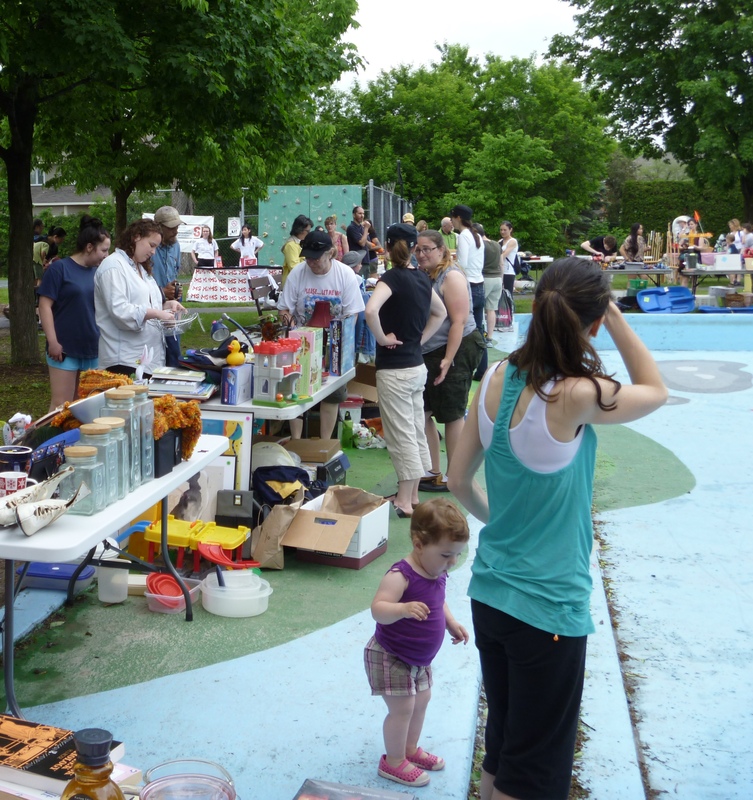 Our annual garage sale was to be held at Dovercourt on Saturday morning but it has been cancelled due to inclement weather. 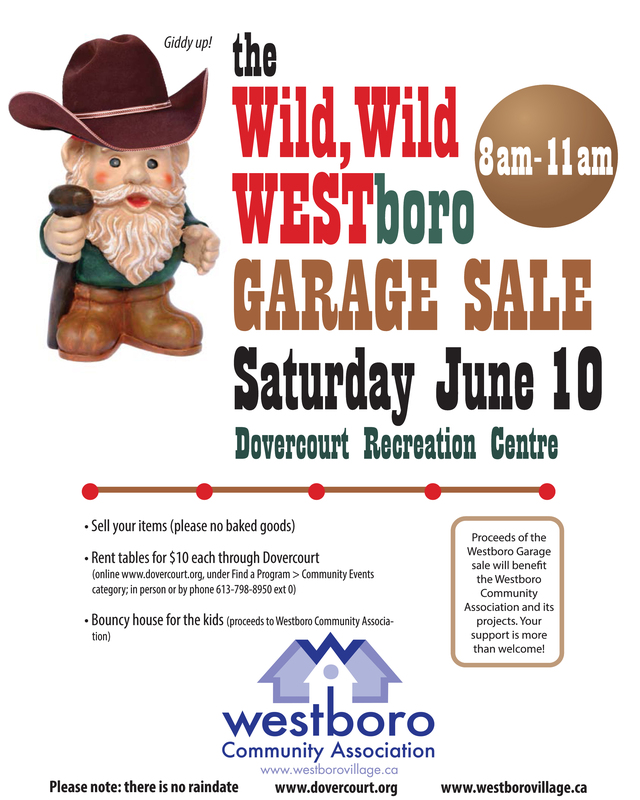 Mark your calendars, the Wild Wild Westboro Garage Sale is a go! A limited number of tables are available to rent at $10/each. Book now to get the spot you want. Choose your table location here and then refer to your table number when you book online (navigate to “community events”), by phone, or in person at Dovercourt. Don’t have time to sell your stuff? The WCA has its own table and is accepting donations of gently used items for sale (just let us know beforehand if you plan to do so). We sell your donated goods “best offer” style, and the proceeds go towards funding our activities for the year. Wondering what to sell? Start with those boxes in the basement and old toy boxes! On the day of sale we ask you to arrive at 7:30 to start setting up your table. 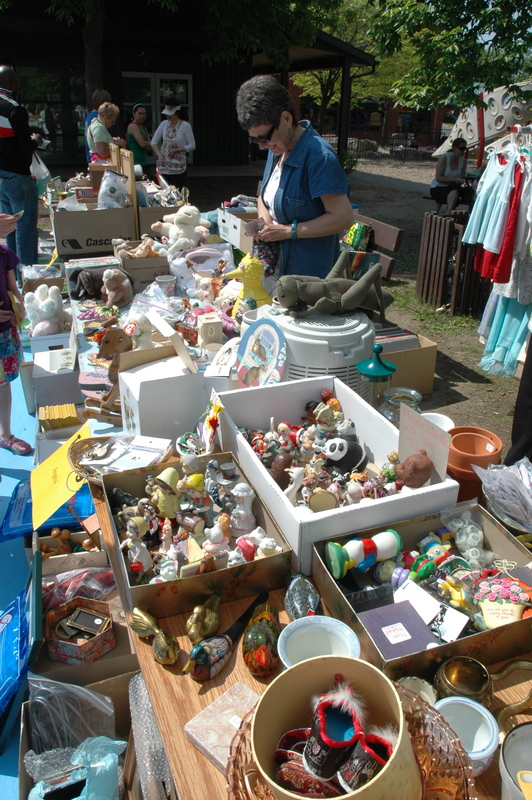 In past years we’ve had a wide variety of goods including baby gear, children’s clothing, toys, household items, DVDs, CDs, books, new and vintage knickknacks of all kinds, and much much more. You never know what you’re going to find. Also, it’s a good time for the good citizens of Westboro to buy and/or renew their memberships and get the inside scoop about what’s new in the ‘hood. Stop by our table and say hello. We would love to meet you. Please help us spread the word. This is a very important fundraiser for us, as the proceeds of the table rentals and WCA table supports our projects for the year. Thank you for your support! And a big thank you to our good friends at Dovercourt too! We couldn’t do this without their help! Saturday June 5, 2010 from 8:00 – 11:00 a.m.
NEW this year: The WCA is selling rainbarrels as a special one-time only fundraiser. If you don’t already have a rainbarrel (or are thinking of picking up a second one!) now is the time to pick one up. Weather experts are predicting a dry summer. Let’s keep Westboro green! The use of rainbarrels for rain water collection gives gardeners and homeowners a convenient supply of cleaner water for use in their gardens, divert water from our overburdened sewer systems and it’s a neat way to save a few pennies on our water bills. The WCA is selling the rainbarrels as a fundraiser for only $79. Order by phone at Dovercourt 613-798-8950 or in person. All rainbarrels need to be picked up at the garage sale. You will be amazed at what your neighbours have stored away in their closets and basements. Come early! 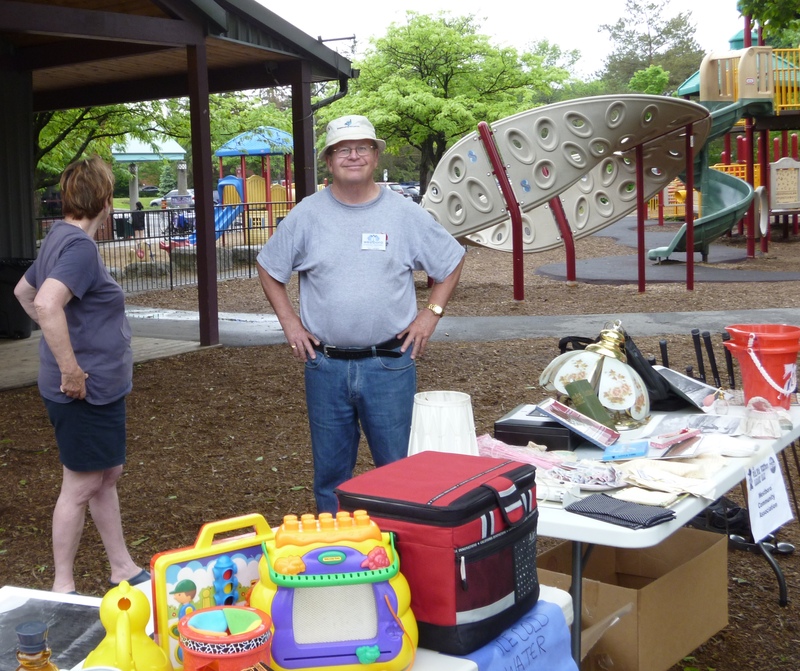 Last year we had baby clothes, plants, toys, games, books, linens, records, furniture, crafts, artwork, DVDs, kitchen items, and much much more. Highlights included a hardshell Thule rooftop cargo carrier for the car, antique chairs, and one snazzy red purse. You never know what you’ll find. Garage sale tables are $10 to rent for the duration of the sale. Select your table on the map (PDF), and then book online, by phone or in person at Dovercourt. Online table rental is new this year. (Thank you Dovercourt for setting it up for us!) The best spots will go really quickly so book right away. Please be at the park by 7:30 a.m. to set up. Don’t have enough to fill a table? Please consider donating your goods to the WCA table. Thank you!